Outdoor Play Party - the mud kitchen is a year old! It is hard to believe it but our amazing mud kitchen is a year old, it is actually quite difficult to imagine play without it as it is such an integral part of our outdoor time now. 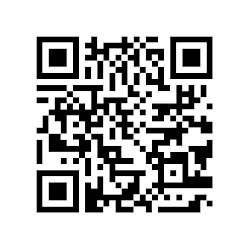 You can read abut how we got to have such an incredible resource over here. It is lovely how much the children have made it theirs over the past year and have added little additions like a muddy puddle in one corner & also how they continually make new discoveries about the space every day. This week 3 children were delighted to find out they could make marks and handprints on the back of the mud kitchen using water. We were lucky to have the dad of one of our assistants add a little water station as well so the children have somewhere to store all the precious water from the rain barrel when the carry it over to the mud kitchen. 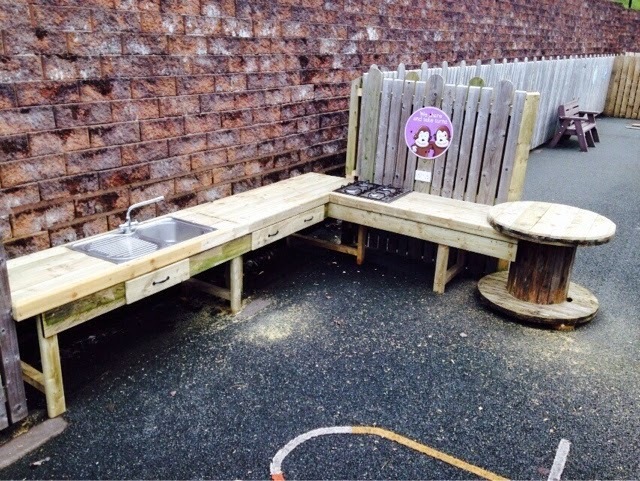 The most important development in the past year is that the Principal of the school saw the value and breadth of play going on in the mud kitchen in nursery and applied for funding to have one built for the Foundation Stage children (4-6 year olds) by one of our amazing caretakers, who also happens to be a master carpenter. Some days it is just lovely to sit back in the 'forest area' and listen to the chatter of the children as they play beyond the willow entrance into the mud kitchen. 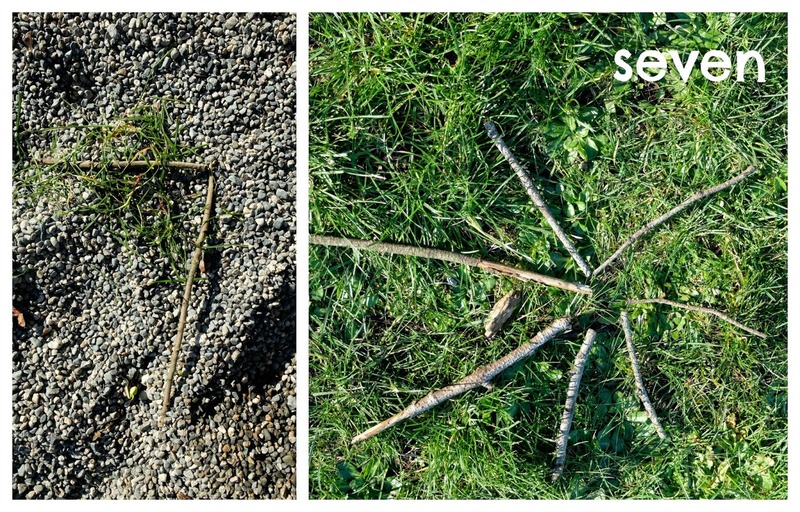 My favourite post from the last Outdoor Play Party was from Rubber Boots and Elf Shoes in a fab post all about finding numbers in their natural environment. I love to see teachers of older children taking their classes outdoors and some of the numbers created by the children are incredible. If I am honest, Wednesday & Friday are my favourite days of the week, mainly because these are the days we spend the most time outdoors; on Wednesday we visit Bear Woods & then stay out onto lunchtime & on Fridays we plan to cook something on the fire & again stay out all morning. Admittedly some outdoor days are not as much fun as others, especially if it is very wet or cold but so far, this school year we haven't had to abandon the idea of the fire because of too much rain. Today, however was a perfect day for bring outside, it was dry & not too cold if a little cloudy. We didn't have a chance to glimpse the partial eclipse but it was a bit surreal for 10 minutes as it got quite dark. I love getting cooking ideas from the Internet & so far we've discovered chocolate stuffed bananas, ice cones with chocolate, marshmallows & fruit & apples with butter but I think today we found our favourite treat ever - toasted tea cakes! I had seen them on Mud Pie's page just before Christmas & was determined to try them but then forgot about it until I saw them on offer in a local supermarket a few weeks ago. 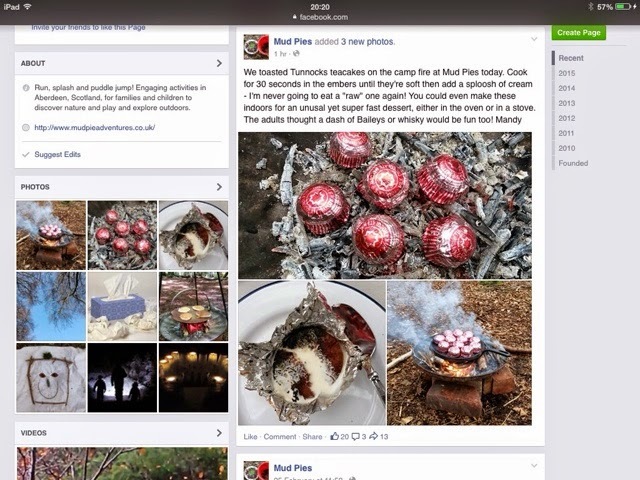 I contacted Mandy over at Mud Pies to ask her how exactly she cooked them. 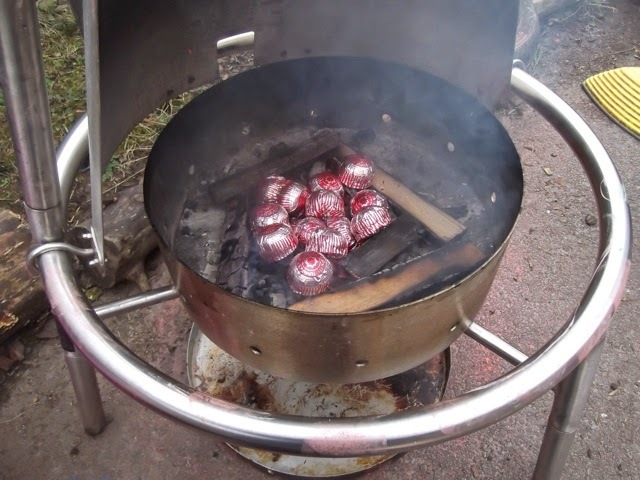 Weirdly enough, she had just cooked them again that very same day & was able to share some great photos & tips with me. We had some hot chocolate first while the fire was blazing & then waited until the flames had died down & placed 7-10 tea cakes at a time in the embers. Mandy had advised leaving them in for 30 seconds so the children had fun continue to 10 a few times! 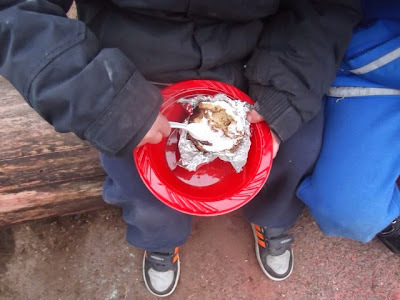 When we lifted them out it was so easy to just open the foil & give the children a spoon to dive in & enjoy. As one boy said 'That was the best idea ever'! and I'd have to agree, so simple & yet so delicious. This is definitely one we'll be doing again. 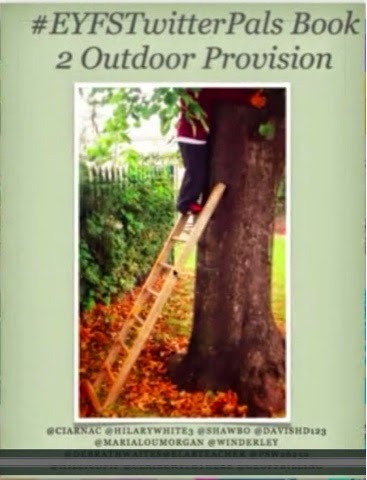 Outdoor Play Party - an eBook on outdoor provision. 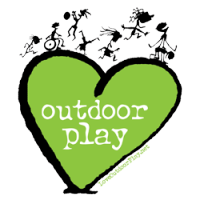 For the latest Outdoor Play Party I am delighted to share a new eBook that I have helped collaborate on with 11 other early years folks from around the UK. I have no doubt that Twitter has provided me with some of the best Continued Professional Development (CPD) in the best few years, as I have connected with fellow early years enthusiasts around the globe. 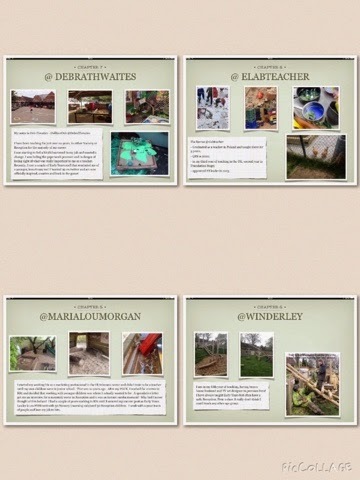 I was very impressed with an early eBook some of the #eyfstwitterpals (eyfs stands for early years foundation stage) had produced last year showing a month of activities in their settings. 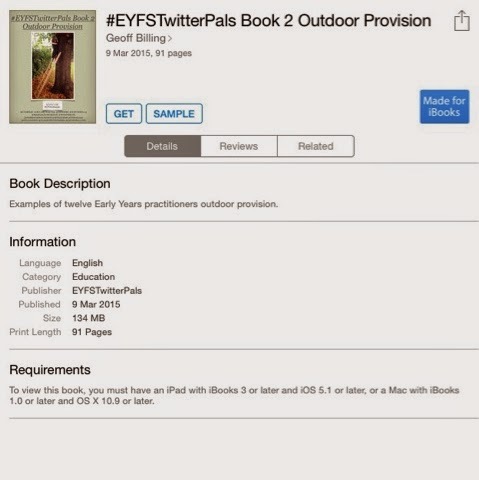 So when Geoff Billing asked if anyone wanted to contribute to another eBook on outdoor provision, I jumped at the chance! 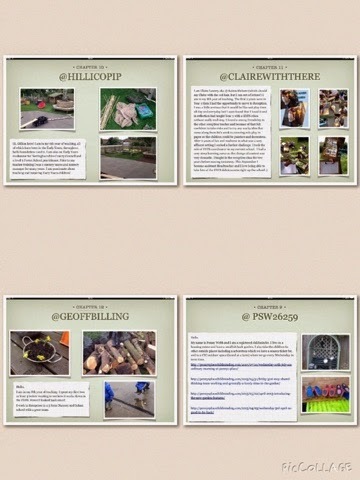 Each of us had to submit 10 posts on any topic of our choosing that we felt would help to inspire others as they develop their outdoor areas. 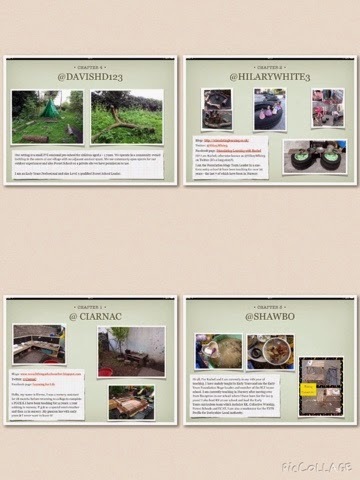 I love that so many of the posts are about every day materials like tyres, sticks, tarpaulins, water & sticks. Please make sure you follow each of the contributors on Twitter so you can keep up with all the great stuff that they continually share. I don't know about anyone else in this part of the world but I am so ready for Spring & dry, warmer weather! 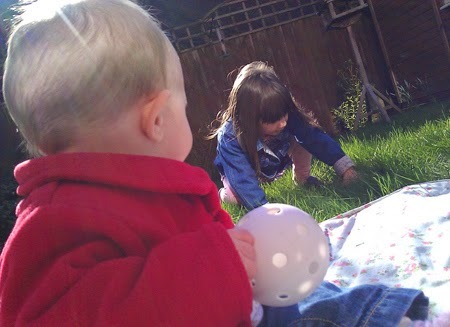 So the post that appealed to me most in the last link up was from Cuddles & Muddles all about how they enjoyed a very simple day in their own back garden in some lovely spring weather.